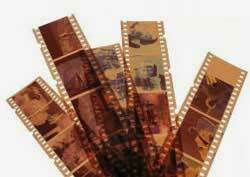 Having your negatives, slide or photos digitised can bring a range of advantages with it. Negative, slide and photo scanning is one of the bespoke services we offer here at Pearl Scan. In this post, we'll take a look at how you can benefit from scanning your old negatives before it's too late. Like anything stored in hard copy form, it is easy for them to get damaged, lost or stolen. Even the most protected box or filing cabinet can be susceptible to water damage or loss of quality. Over time, photographs can fade too just like our memories of the events they contain. Fortunately, photo scanning is a service available to tackle this very problem. Digital copies cannot be damaged in the way that hard copies can and files can be code encrypted and password protected to avoid theft. Photographs hold the memories of our and many other's pasts. Whether they remind us of those we've lost or reconnect us with old friends, they are important so we must find a way to future proof them for future viewing. Photo scanning does just that. By digitising the slides, negatives and photos you can also create slideshows or just store them safely on a hard drive. Before the days of digital cameras, photos of historical events were taken on cameras where the negatives were then developed and the photos stored. Negative scanning provides the opportunity to recover photos which may have been previously lost. An example of the restoration of historical photographs can be found in one of our previous articles, when Ryder Cup photos from years ago were digitised and made available online for anyone in the world to view. Which brings me onto my next point. In hard copy, it is difficult to share photos with the people you want to. You will usually have to be with those people for them to view them. With negative, slides and photo scanning, you will receive a digital copy of your photos in your preferred format. You can then share them with other people via email, social media or on a company website. This also means that people can view them anywhere in the world, at any time. When you get digitised versions of your photos through negative, slide and photo scanning, they can be kept in one file and indexed correctly so that all you have to do is a quick search, by date or title, to find the photo you need. So no more searching through piles of albums or boxes to find that one picture to show your relatives. Once you have fully digitised copies of your photos, they can be edited and the quality can be improved to give you better copies. This advantage is particularly useful if the photo wasn't exactly how you wanted it in its hard copy form. On old cameras, there was never the option to delete a photo and take it again. As a result, we often find ourselves with slightly blurry pictures, things blocking the view or darker photos than you intended. The editing of digitised photos enables you to get the photos to the quality you want them. As you can see, scanning negatives, scanning photos or scanning slides brings many disadvantages and much more besides the ones listed. While a flatbed desktop scanner may be sufficient for small quantities of photos to be scanned, for larger quantities or for negative and slide scanning, it is more cost and time efficient to outsource to scanning services. Here at Pearl Scan, we offer a bespoke photo, negative and slide scanning service. If you would like to learn more about how our negative scanning service (which involves the scanning of slides or photos too) can help you or your company, get in touch today. For a free, no obligation quote for your scanning project fill out our online form by following the relevant links below.